Dress: Textured lace gown by Monique Lhuillier. 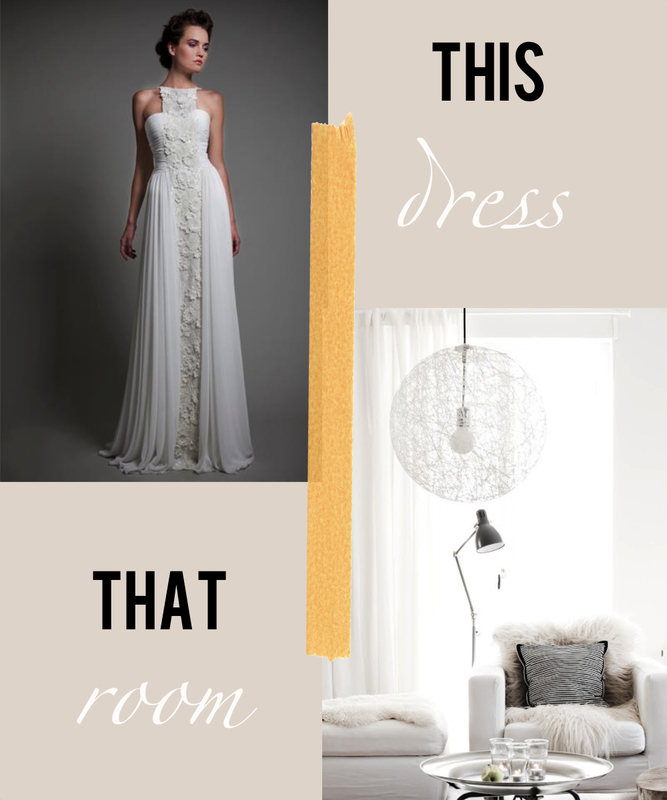 / Room: Fluffy white linens meet flowing white canopy headdress in this dreamscape of white. Flirty, feminine and bright, found here. 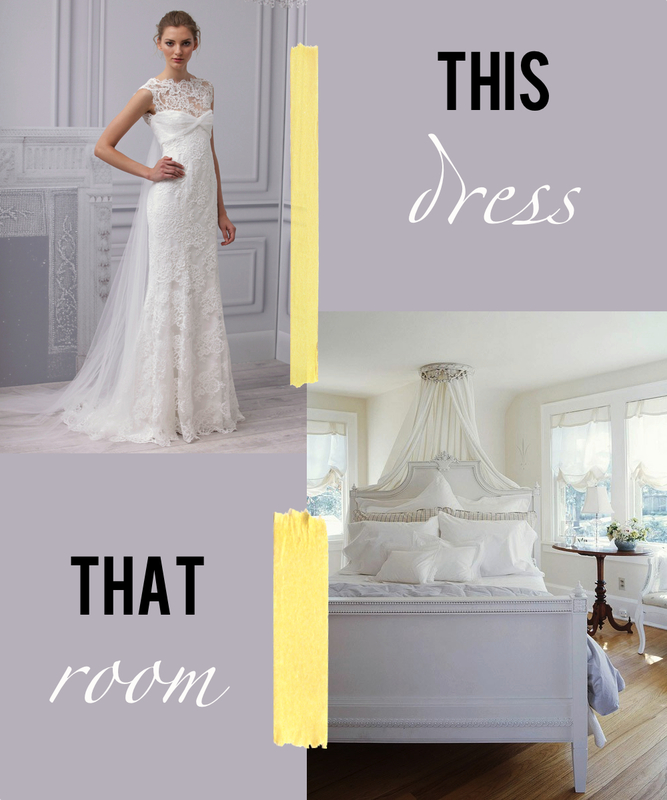 Dress: Banderole Gown by BHLDN with a silhouette fitted through bodice and hips. The gossamer three-quarter sleeves and tiers of pure silk chiffon unfurl from empire waist to toe. 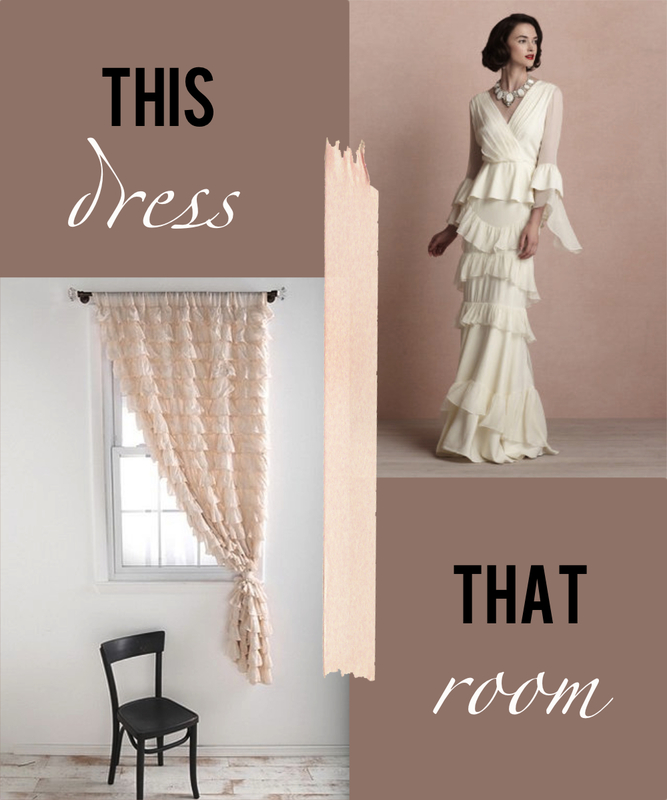 / Room: Waterfall Ruffle Curtain from Urban Outfitters in dusty pink dresses up a bare white room with spartan furnishings and still adds a touch of opulence. Room: White based room with minimal midcentury features and sharp geometric shapes. The yarn ball light fixture can be made here. Original image link found via Pinterest and broken! Sorry! / Dress: Tony Ward Couture 2013, Freesia – a column dress with rectangle draping and texture juxtaposition, found here. Umbrella: Ok, I understand that this is technically a PARASOL and thus does not block much rain (and is truly meant to block sun) but, I could not resist. Product found at ModCloth, HERE. / Room: Lace felt blanket by Room 39. How interesting is the precision laser cutting? The blanket looks almost like a lace snowflake (made of merino wool). 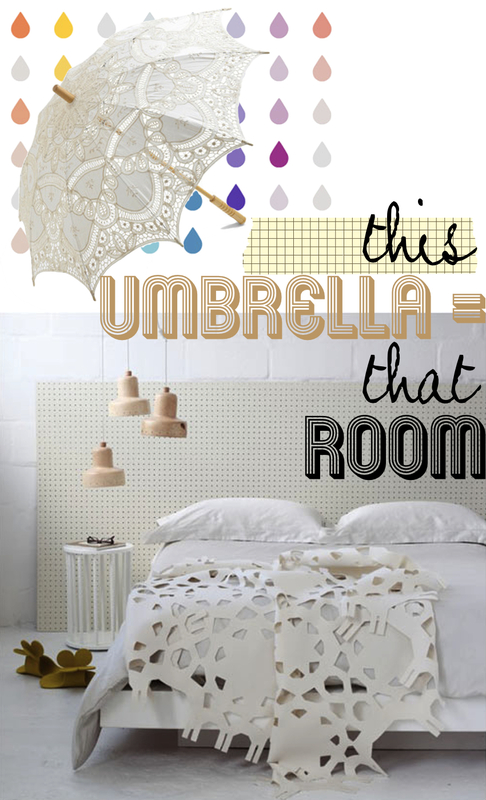 Umbrella: Your inner world traveler will love the desert shades and wooden accent of Missoni’s printed automatic umbrella. Internal black spokes, button mechanism to operate, designer-stamped gunmetal and wooden handle. Available HERE. 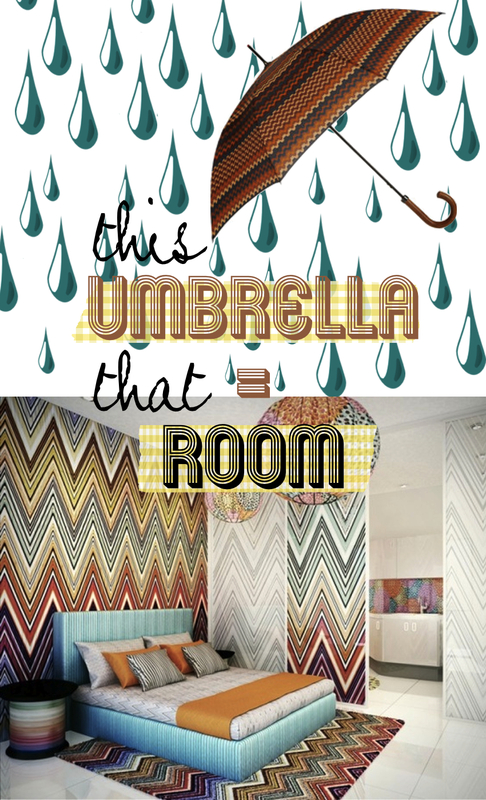 / Room: I would never leave this Missoni chevroned room. Found in the Acqua Private Residences project, developed in the Philippine capital. The bold colors of the private residences provide elegance, energy, and positivity. Image found HERE. Umbrella: Maintain your style credentials outdoors with this green printed umbrella from DVF 1974. Available for purchase HERE. With its vintage twig print, this accessory will bring quirky cool to your spring ensembles. 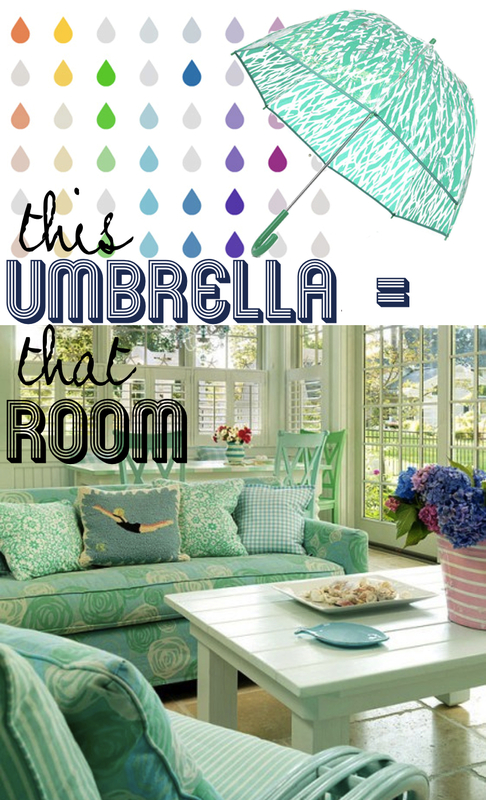 / Room: Oh seafoam sunroom, how I love thee. 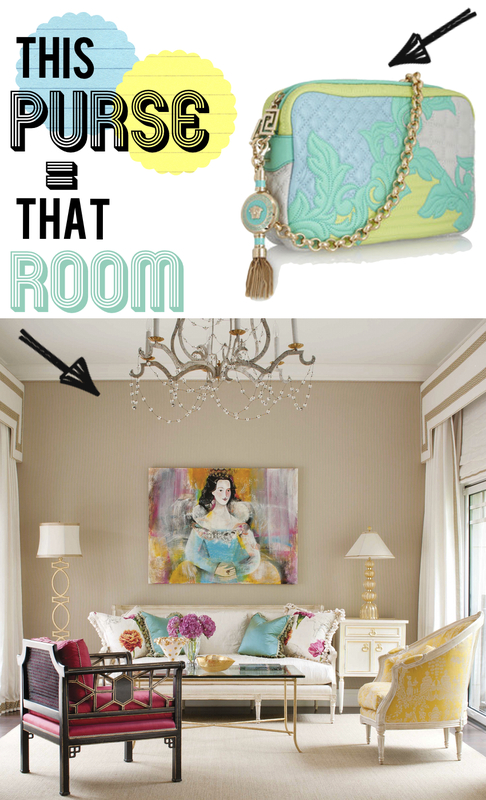 The patterns, the prints, the cool pastel hues and the general beachy, cool, cottage vibe! Found HERE. 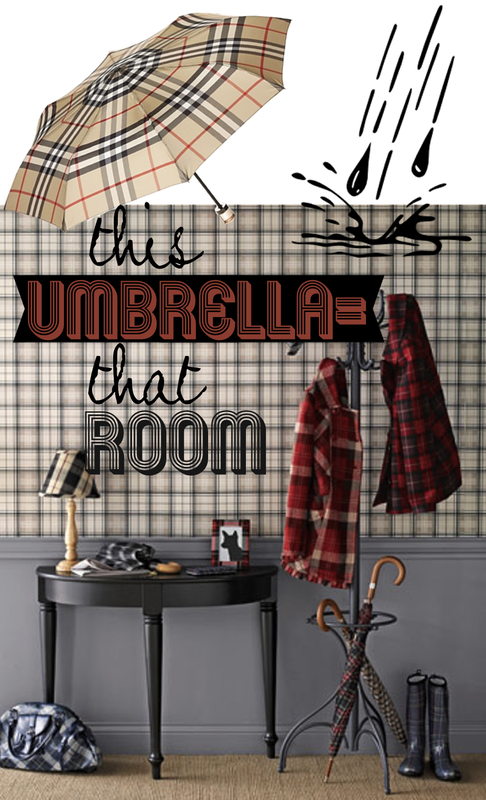 Umbrella: The classic Burberry pattern! What more can I say? Image found HERE. / Room: Give visitors a warm welcome with an entryway bedecked in soft taupe checkers and tartan plaids! Sophisticated yet cool. Room found via Country Living HERE. 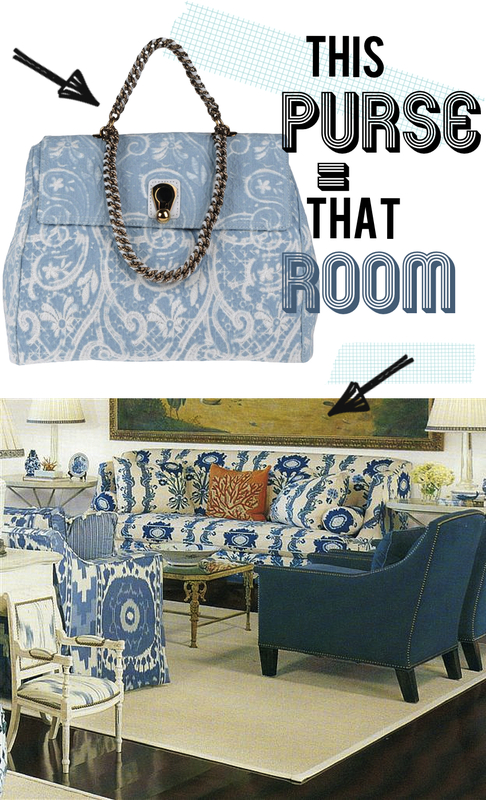 Purse: VERSACE Quilted leather shoulder bag, found HERE / Room: Interior European sunroom photographed by Emily Minton Redfield, designed by Ingrid Fretheim that graced the 2011 cover of Colorado Homes & Lifestyles. 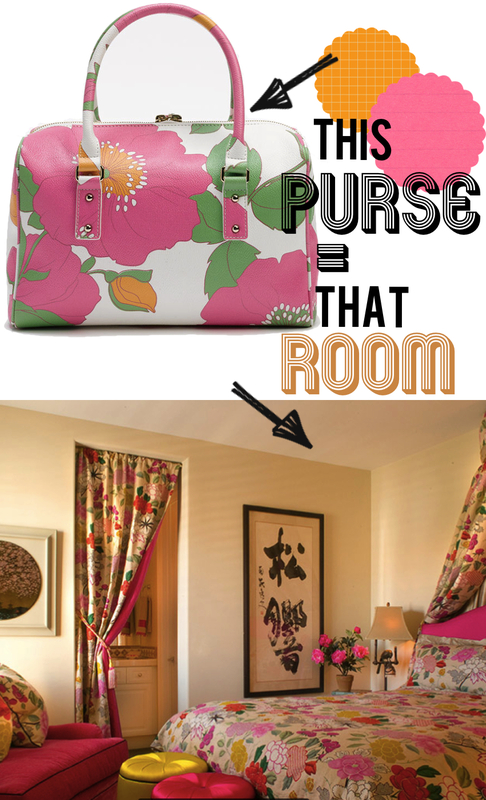 Purse: Kate Spade New York ‘high falls – melinda’ Satchel, found HERE / Room: Eclectic Bedroom by Tracy Murdock, found HERE. Purse: DOLCE & GABBANA, LACE SHOULDER BAG, farfetch from Francis Ferent, Brussels, Belgium, found HERE / Room: A CNW PRODUCTION, found HERE. 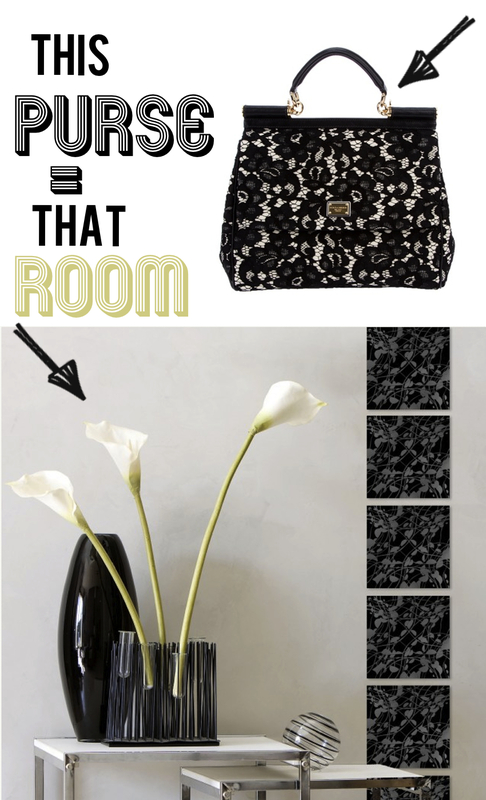 Purse: ERMANNO SCERVINO, Large fabric bag, Collection: Spring-Summer, found HERE / Room: Upholstery fabrics and image by Henriot Floral, found HERE.